Cats age gracefully. However, they still age, and there is such thing as cat years. Unfortunately, most felines can’t avoid various elderly cat health problems. What can we do to help them? – Just be prepared and control the kitty’s conditions, trying to prevent or minimize progression of the disease. 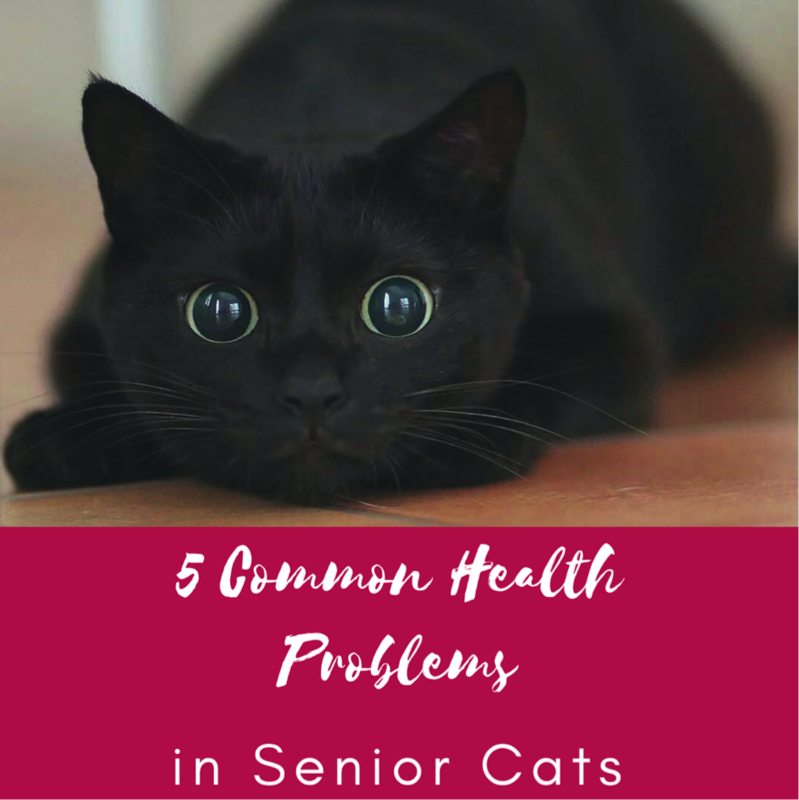 But do you know exactly what to prevent and what are the most likely symptoms of Common Health Problems in Senior Cats to notice? If no, this list of 5 elderly feline health problems, based on a research, was made for you. Over the years, the level of cats’ activity is significantly reducing, and many feline owners often mistake the symptoms of this disease with so-called ‘normal’ aging changes. Arthritic cats have pain in their paws, become less active, ignoring their favorite toys, sleep a lot, sometimes hobble, and can’t jump on furniture or walk up and down the stairs a lot. Up to 90% of cats over 12 years old have arthritis, which can be rather progressive and long-term. Thus, if you’ve noticed any of the signs noticed above, you’d better show your senior cat to a vet to make sure that everything’s all right. Dental disease is not only an elderly cat problem, as it is often diagnosed in cats over 2-3 years old. However, senior felines suffer from this painful periodontal disease much more. Stomatitis, cavities, orthodontic disease, broken teeth, tooth resorption… This is not even half of the list. Facing conditions mentioned above, your kitty is likely to have swelling and ulcers in the mouth, bleeding or red gums, terrible breath. Eventually, these symptoms can affect a cat’s appetite, leading to inevitable weight loss as a result. Kidney diseases are also in our list of the most common senior cats health problems, which should be diagnosed as soon as possible. Kidneys act as filters that remove multiple waste products, produced by a pet’s body. In case of functional debility of kidneys, these products are not effectively eliminated via urine so that they build up in the kitty’s bloodstream (this condition is also known as azotemia). Wanna be sure that your pet is all right in terms of kidney problems? All you need is to make blood tests. Of course, our list is literally impossible without such widely-spread 21st century disease as cancer, which is said to be the plague of the 21st century. Indeed, senior cats often suffer because of cancer. However, they’re less prone to it than dogs. Talking about the symptoms, it’s quite hard to outline the most specific ones as there are many types of cancer and the symptoms completely depend on the type. But, weight loss, lumps and bumps that are growing, sores that don’t heal are all common signals of this widely-spread disease. Feline’s heart can say for sure if there is such thing as cat years, as it’s so fragile in senior cats. Among many different types of heart diseases, hypertrophic cardiomyopathy is the most common (often, it occurs along with hyperthyroidism or hypertension). Early detection and treatment will slow the progression of heart diseases and prolong your cat’s life. Everything is rather simple: it’s easier to prevent a disease at an early stage than to treat it, even when it comes to senior cats. That’s why it’s recommended to visit a vet regularly, take blood and urine tests, conduct ultrasound examinations, even if there are no any obvious symptoms or complaints. Take care of your little friend!